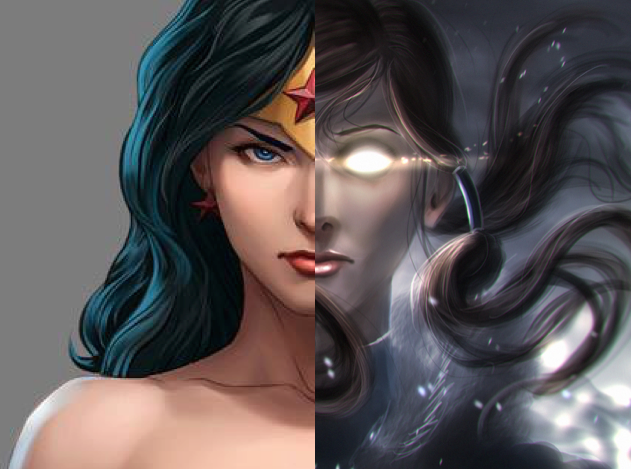 I’ve been having some conversations with a friend about connections to characters like Wonder Woman and Korra, and the more I think about it, the more I see how much being a lover of fantasy is just a large part of who I am and won’t change. Decades ago, I latched onto the fantasy genre (novels and comics) because I needed escape from this world into one where there were individuals more powerful than I was who could lead by example. I felt powerless for many reasons in my youth (fear of coming out, for one), and I saw the possibility for more from these otherworldly characters. Strength came from purpose, not necessarily physical attributes; higher powers interacted with these characters, guiding them in tangible ways (when I had felt abandoned by my own higher power); and, these characters inspired not because they intended do, but rather, because they just did by their actions. Back then, these characters—yes, fictional characters—spoke to me like nothing else did. As an older adult, I don’t have the same needs, but I still feel connected to these characters. That may seem childish to some, but what they represent to me goes beyond—into potential. I can never be an actual superhero or character imbued with magical powers, but the idea that I can be something more all the time is what remains appealing. I like having friends, some older adults like myself, who feel the same way. We find our path, our anchor, our impetus to move forward in myriad ways, and talking to like-minded people keeps me focused, ironically enough, on the real world.